Review of Elementary Italian (A2 level). 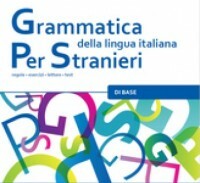 This course allows students to practice the following elements of Italian grammar that they have already learned: "imperfetto"; the use of "imperfetto" vs 'passato prossimo"; the progressive form; the imperative; the future tense; direct and indirect pronouns; comparative and superlative adjectives; irregular nouns. This course will offer students the opportunity to strengthen their understanding of the Italian language and to improve their listening and reading skills, while gaining self-confidence in conversation and expanding their vocabulary. Prerequisite: A2.3 or knowledge of above stated grammar.